believes in monsters, both real and imagined, and still checks under the bed. She adores reading and is always looking for a great book recommendation. 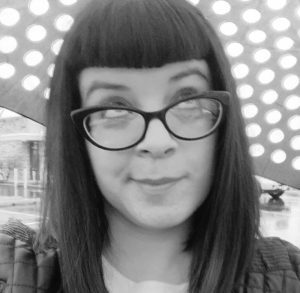 Angela writes horror, science fiction, fantasy, and young adult. Her work has appeared in multiple publications, please see "Publications" for full details. She grew up in North Dakota and holds degrees in psychology and philosophy from the University of North Dakota. After marrying her high school sweetheart, they moved to Colorado and now live on the front range of the Rockies with their three cats. Angela is a member of Rocky Mountain Fiction Writers and Pikes Peak Writers. She has enjoyed sharing her works of short fiction with the world and hopes to publish her debut novel in the near future. She is currently seeking representation. Error: Error validating access token: Session has expired on Thursday, 11-Oct-18 12:35:12 PDT. The current time is Monday, 22-Apr-19 01:51:52 PDT.